Thanks to René Descartes, the French philosopher and mathematician, who supposedly was lying in bed and staring up at a fly on his ceiling, we have a fabulous way to graph equations. We now have what is known as the Cartesian Plane! 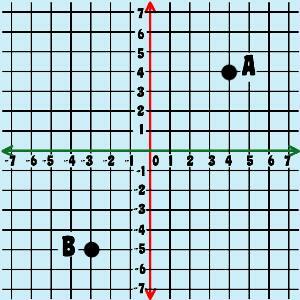 We can use an ordered pair of coordinates to specify a point to indicate a specific orientation or location in space. Before you can do anything, you need to know the basics. Understanding the basics is key as this will be your foundation. Number Line: A number line has arrows at both ends which means it goes on indefinitely. 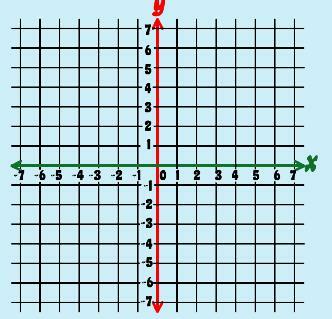 x-axis and y-axis: two number lines, one goes horizontally (x-axis) and the other vertically (y-axis). The x- and y-axes give you dimensionality, so points can be plotted in a plane. When plotting points, you move across the x-axis first then, you move up or down along the y-axis. Think: x comes before y in the alphabet to help you remember this. function: a table of ordered pairs that shows the relation between the domain (x values) and the range (y values) and how they correspond to one another. Now, the function table has given the ordered pairs that can be graphed! All the points on the 'graph' are the solutions to the equation. 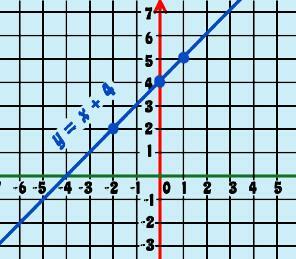 This is the awesome part of graphing linear functions. Look at a spot where the blue line crosses the intersection of two axes…(-5, -1) is one such place. Now, if you go back to the equation and use the Substitution Property, replacing the x with -5, guess what! y is -1! Isn't that the coolest thing? There are three different 'forms' of linear equations. You should be familiar with all three because you will be working with problems in all of the forms. Standard Form: This form allows us to write equations for vertical lines (which have an undefined slope), is useful when solving systems of linear equations, and simplifies finding parallel and perpendicular lines. Point-Slope Form: This form is useful when you need to find the equation of a line and you know two points. You can determine the slope from the two points then simply substitute one of the ordered pairs into the equation. You can always use a function table to write an equation, too! This relies on patterning (yep, all that pattern work from Kindergarten comes in handy now…). Here we have a table and you have to come up with the equation (function rule) that fits. Step 1: Find the relationship between each x and each y value. Begin by finding the patterns of change. There is a difference of 3 between each y value. There is a difference of 2 between each x value. Step 2: Determine the rate of change. 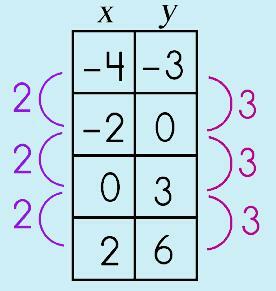 Write the pattern you find as a fraction. This is now your slope!